I'm hoping that's the case. I've reached the acceptance phase. Staying here (as mentioned earlier) was already not the best financial decision because of the high cost of living. Me not being able to find a long term job (I contracted for about 5 months) was also not helpful to making this a good long term decision. But my wife not getting the package she wanted sealed the deal. We have to be prudent with our finances, as enjoyable as living here is. And one pretty good income won't cut it when I'm refreshed, excited to be busy working, etc. Gah, sorry for the delay in replying. I'm not in IT so I can't offer much in the way of helpful perspective. It's okay. It ended up being mostly immaterial. I actually have 4 companies as of today that are taking a hard look. One that may want to hire me. All of that happened in the last week. What also happened in the last week, though, is that my wife and I figured out that the year 2 package probably wasn't going to be adequate. So this just may have to be the assignment and nothing more. That's okay. That's all it started as. We had high hopes, but it's financially irresponsible for us to take a pay cut this big at this point in our lives. We had high hopes, but it's financially irresponsible for us to take a pay cut this big at this point in our lives. We're on just my income while my partner finishes a second degree, but it's worthwhile since she wasn't happy in her previous career. This being a grownup business is complicated. 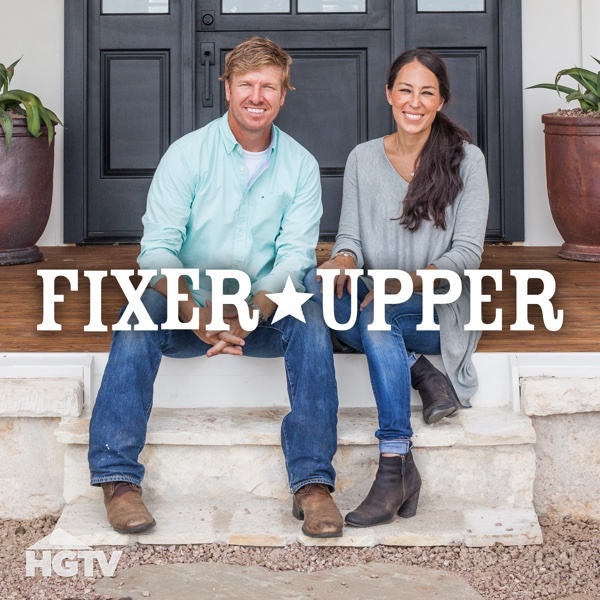 You may have to look up Chip and Joanna for a house if you're around Waco! Things have gotten really bad for me. Welcoming prayers. Especially in trying to figure out our future. So we figured out that my wife wasn't going to get the salary needed to keep us here last week. Meanwhile I got a job a couple of days ago. Now here's the catch. About 8 before I got the job someone I know who's also got a similar medication situation to mine... left us. In a way that wasn't surprising, but was terribly sad. I spun into a really bad state as a result of this. That happened the day after my wife and I figured out that we'd have to move back home. Which, it turns out, is both for the best. In 2014, as documented in the depression thread, my body went sideways. Headaches, rapid weight loss (30lbs. in 6 days), pain everywhere. I'm not quite there yet but I'm getting some of the early signs. Muscle twitching, back spasms, pain, insomnia. It's really scary. All I have here is my wife. I'm starting to wonder if I should go home now. Either way I'm going to have to try and find a doctor here in Australia to get stable, I imagine. Good luck, DSG. You can make it through the rest of your Australian adventure - it won't be too much longer. Although I'm not sure how useful sending you dumb things about Vegemite and nature strips is. I don't know if that's true. The Australian healthcare system is expensive and hard to navigate. Especially when you don't explicitly have in country insurance. Well, do what you need to do to take care of yourself, even if it means coming back early, imho. Thanks. I think it does. I know literally a few weeks ago I was frustrated that we might not be able to stay forever, but my health spiraled down the last two weeks and now I really want to be home. Not sure on the timetable yet, but I feel a bit better today and taking it a day at a time. One day at a time is the only way to go. Big plans can be intimidating, but baby steps are doable. An update. I stabilized somewhat. The last 2 weeks have been really scary. After 10 days of insomnia and rapid weight loss I finally stabilized somewhat. I'm still being very careful and just taking it easy. It was already pressing to try and find work before we went back to the US in January. It became impossible after my health took a turn. My wife already had a pre-existing trip scheduled in the US for the first two weeks in October. Rather than stay in Australia by myself and hope things didn't get worse while I was by myself we scheduled a flight back to the US for that same period of time. So I'm going back to the US the first week of October and couch surfing for a month+ while I wait for my wife to finish her assignment. I'm not sure how to feel about this. Literally a week or so ago I was frustrated at my inability to find work and the ramifications for being able to stay here. Now I'm mostly excited to go home and be near friends and family and to be a 1st class citizen in the eyes of my insurance (as far as that stuff actually goes). All of this has nothing to do with Australia. Australia is amazing. I would be lucky if I had been born an Australia. I likely would have had some kind doctor intercept me before I let my health get bad. Instead, in the US, I took whatever medication they gave me to go back to work. It's time for soul searching on what I need to do to live for another 40 years. Including taking lower stress jobs with less hours. I have to take care of myself. This was a huge wakeup call. It's hard not to be jealous looking around at how Australians live as I kind of shuffle through my remaining days here. They have a culture that seems to reward and respect manual labor. They don't seem as cut throat as we are in the US. And they, largely, seem to try and live healthier lifestyles. I know that's generalizations based on my small slice of experience, but I've never seen anything like it. I wish I could be a part of it, but I exist outside of it and that's that. Until I iron some stuff out it's time to go back to the US where I can more easily access work, healthcare and where I have a network of people that care for me. I'm not sure why I'd jump in with two feet and this would just be my life indefinitely. This was always only supposed to be a one year thing. But I came with such optimism that it could be more. In hindsight I was I had come in with more realistic expectations and just enjoyed it for what it was instead of working so hard to turn it into a long term gig. But here I am. I leave in under a month. Hopefully I stay steady until then. There's lots to do and I still don't feel right. Good luck, DSG! Take care of yourself. I'm sure you're making the right decision DSG. Moving countries permanently is a tough thing for anyone. I was lucky enough to have no choice in it when we moved out here when I was a kid but I doubt I could do it as an adult. Hope the return goes smoothly. In hindsight I realize that. Sydney was too stressful for me. Too hectic, everyone any a hurry constantly. I have a lot of thoughts about my brief Australia experience. Most of them are positive. But I think I would have enjoyed many cities more than Sydney. We're just kidding around. East Coast West Coast rivalries and all that. While Perth does have a very laid back lifestyle I'm not sure if we'd have had the same number of opportunities in your particular field. Yep, completely kidding! Sydney does have a bit more bustle than other cities but part of that I think is just geography. The structure of the city creates more bottlenecks. I'm counting the days until I leave. Down to 10 days. Sydney is such a noisy city. It's completely incompatible with who I am right now and what my needs are in terms of my health and well-being. As I type this I can hear my neighbors' TV from across the hallway in our extended stay hotel. I'm starting to develop stereotypes as to the kinds of people (age, nationality) are usually the most rude here in Sydney. So it's best if I leave before those stereotypes calcify any more than they already have. I'm really over the noise here. Good luck with the return trip, DSG, and whatever the next chapter will be. I am glad you are looking forward to leaving. Are you going back to Portland or did you decide Texas? Texas initially. My wife needs to finish the assignment and I have lots of family in Texas. So I'm going to couch surf in Texas for 5 weeks and then we'll figure out if it's Portland or Texas long term. There's a huge draw to Texas, though, because of family / sun. That mostly depends on where we find jobs. Tomorrow's my flight back to America. Wish me luck (pray for me, whatever, I'll take it) on the flight, re-entry, etc. I'm so anxious. Don't forget to pick up some cheap Amiibos before you go (I kid). I saw this post over in the HDTV thread and thought "What happened to Australia? It was going so well this spring." Anyway, I'm all caught up now. One, sorry to hear about your troubles. Two, if you're still considering Austin, I'm happy to answer questions or help it in any other way I can. I don't know if any of them are following this thread but I can think of at least a half-dozen Austin GWJ'ers that might also be willing to similarly assist. Hope your time in the Texas sun has been nourishing. I figure this is as good a place as any to share this since I assume people here have an interest in Australia and I made it for DSG, here is my Aussie playlist. It's music from when I listened to the radio, my "golden age" or whatever. I'm 30, for reference. Not every "classic" song of the time is in there, it's the stuff I liked. It's mostly cribbed from the Triple J hottest 100 each year, so this is mostly stuff you'd find in the 'alternative' section. The first part is a bunch of favourite artists, then it goes in roughly chronological order for a while, then things are a bit mixed up at the end because you can't change the order of videos on the mobile app or mobile browser. I snuck one NZ track in there, because we steal all their good things. Also, caveat: I never watched the music videos that went along with these songs at the time, and watching bits of them now, some of them are messed up. Also there are at least two tracks with explicit lyrics, NSFW. Some of the YouTube videos have really long preambles before the song starts. Sorry about that. Thanks. I'm working through it. I'm still alive, doing pretty well right now and moving forward. The further away I get the more I realize that even though it was only 10 months I had the expat experience that was possible for me. It was fun while it lasted and then my body said, "Time to go home". Not ideal, but it was still worth it. I'll figure out the health stuff eventually, I think. Australia wasn't the place to do it. It hasn't turned me off being an expat, but it's not the right choice until I'm better. Thank you. It has been. My family is wonderful and staying with them has been relaxing. Tomorrow I head on to Portland and I start setting up our apartment / looking for work. So I'm doing pretty good right now. For now I think we're going to stay in Portland. My wife's job is there, ultimately, and we want to have a smooth landing. It's not time to make another move quite yet. But Austin is definitely on the short list once we're ready. Thanks for offering. When the time comes I'll definitely be asking here first.